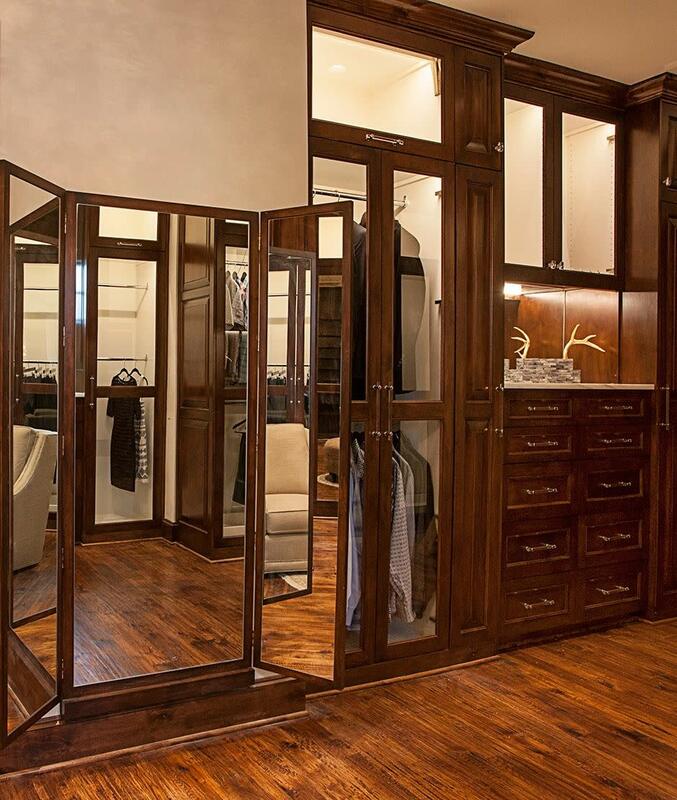 Beautiful stained wood with inset glass door fronts showcase this large luxury His & Her walk-in closet with European style inset cabinetry. 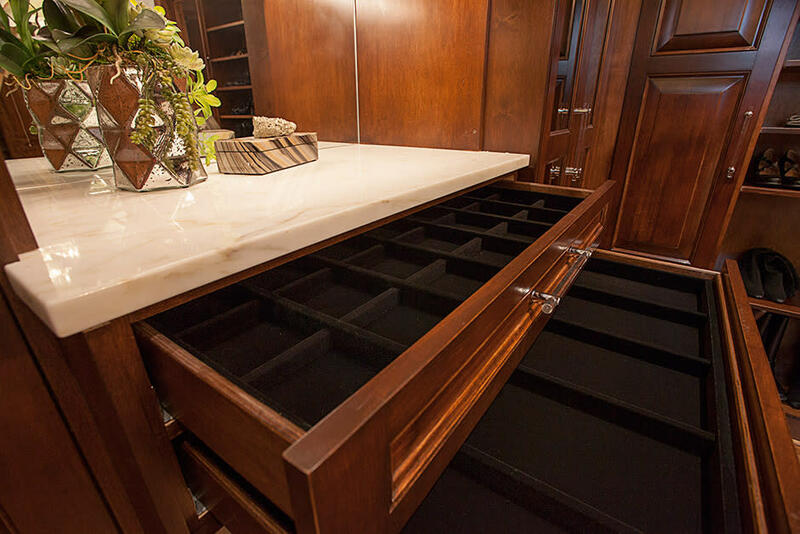 Her side includes custom designed jewelry trays, a drop down ironing board and extra built in drawer space. 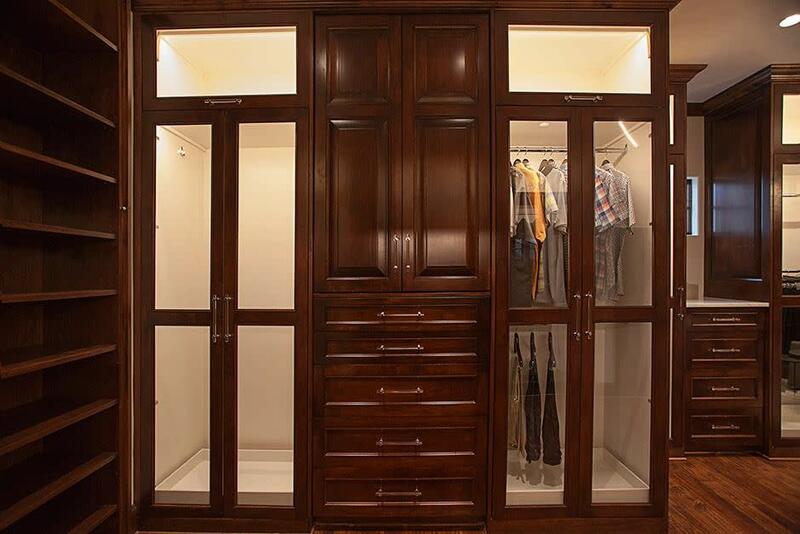 His side features two large dressers, upper enclosed cabinets and tall pull out tie and belt racks. 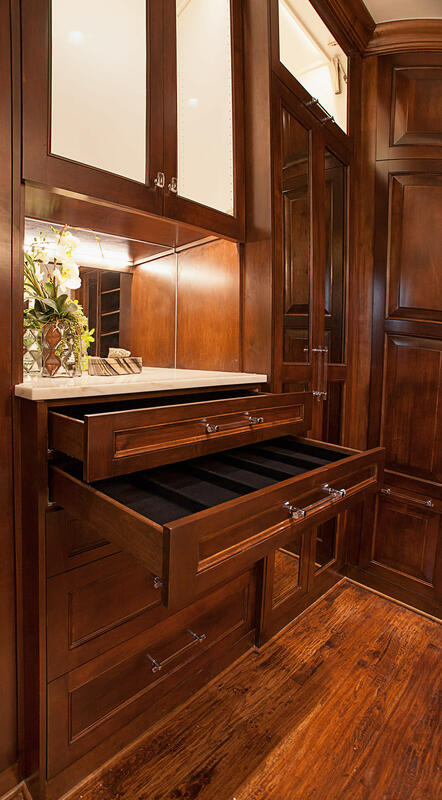 A stunning chandelier finishes the space.